Bentley prepares for the 2014 Goodwood Festival of Speed with an exclusive line up of cars. Spanning the company's rich 95‑year heritage, the Bentley models on display at Goodwood showcase the best in British luxury and performance. Making its global debut on the Bentley stand is the new Continental GT3-R – the most dynamic and fastest-accelerating Bentley ever produced. Inspired by Bentley's race-winning Continental GT3 racer, the GT3-R is powered by Bentley's race- and road-proven 4.0 litre V8 engine, producing 580 PS and 700 Nm of torque. A weight reduction of 100 kg combines with torque vectoring and shorter gearing to deliver a breathtaking driving experience. The GT3-R is limited to just 300 examples, all hand built in Crewe and finished by Bentley's motorsport department, and will be on display on the Bentley stand throughout the Festival weekend.The inspiration behind the GT3-R – the Continental GT3 race car – will also be making an appearance at Goodwood. Fresh from its recent victory at the second round of the Blancpain Endurance Series at Silverstone, the GT3 will be piloted up the hill by modern-day Bentley Boy David Brabham, who drove a Bentley Speed 8 to second place at the 24 Hours of Le Mans in 2003, completing the famous Bentley 1-2. The Continental GT3 takes to the hill throughout the weekend, while Team M-Sport Bentley enters its two GT3 cars in the next round of the Blancpain Endurance Series at Paul Ricard in southern France. Tracing the roots of the brand's racing heritage, three historic Bentleys will reunite for the first time in over a decade to complete Goodwood's famous Hillclimb. The Speed Six Bentley, affectionately known as 'Old Number 1', won Le Mans in 1929 and 1930 with Woolf Barnato partnering Henry 'Tim' Birkin (1929) and Glen Kidston (1930) as well as winning at Brooklands. This unique and celebrated racing car will be accompanied by two more classic Bentleys. 'Old Number 2' and 'Old Number 3' are both in their original form and raced alongside Old Number 1 at Le Mans in 1930. An exquisite line-up of Bentley's luxury performance road cars will be displayed on the company's stand, with one of the latest additions to the range – the Continental GT V8 S – being driven up the hill by five-time Le Mans winner and Bentley Boy, Derek Bell. 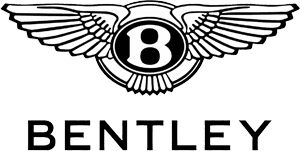 For the first time, Bentley will also be displaying a range of pre-owned models, on a separate stand in the Exhibitors' Area.